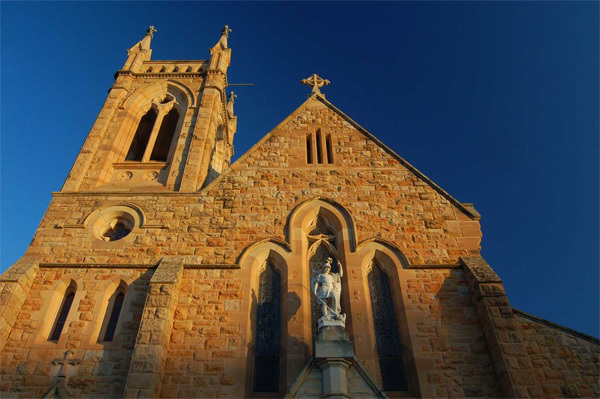 St Michael’s Catholic Cathedral is the most important heritage building in the city of Wagga Wagga, NSW. It was one of only four stone Catholic Cathedrals built in NSW, and was one of the last sandstone Gothic Cathedrals to be built in Australia. 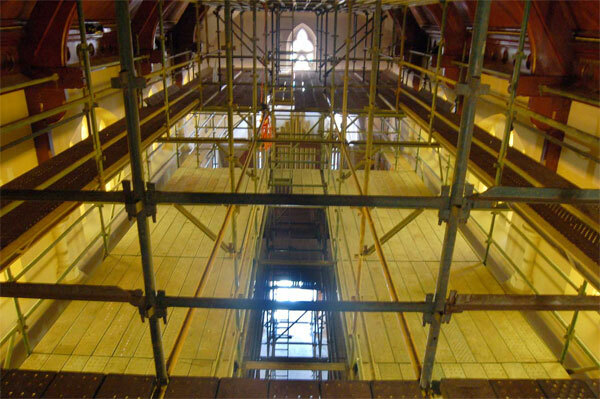 Our Conservation Management Plan and Schedule of Works, with site supervision by an expert works manager, accompanied the most extensive and complex conservation program seen in the Cathedral for fifty years. 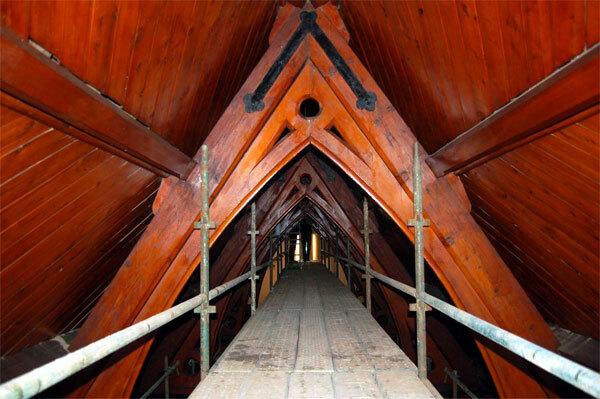 Eight storeys of scaffolding provided access to every part of the interior. 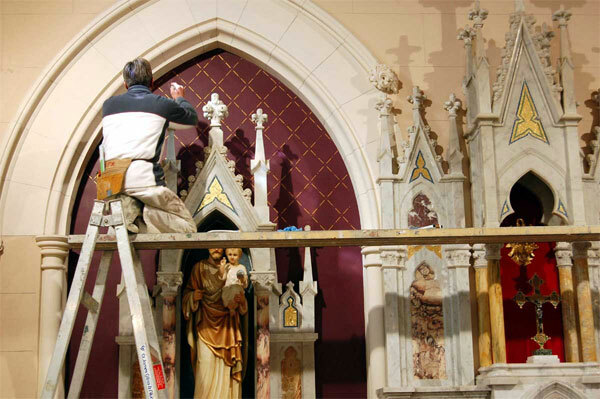 Artworks that had previously been roughly repaired were painstakingly cleaned and conserved. 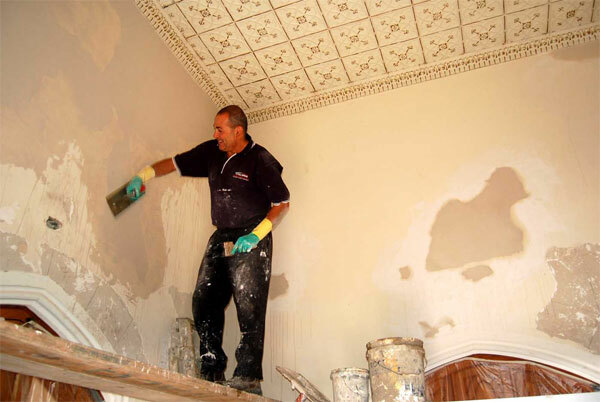 Renewed lighting, wiring, drainage, air-conditioning and sound system were installed into a totally conserved interior. The determination and foresight of our client, Bishop Gerard Hanna, has, through this project, created opportunities for the Cathedral to remain the centrepiece of Catholic worship in the Riverina region for many years to come.